Natsume's just an ordinary kid, except he can see spirits, just like his grandma Reiko could. Reiko, though, used to bully the spirits, and bound them to her will in the "Book of Friends." Now that Natsume has inherited this book, a never-ending stream of spirits is coming after him. 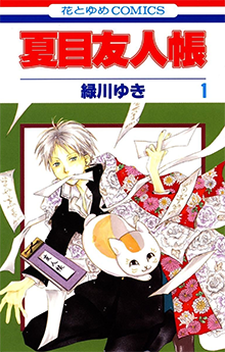 With the help of a spirit "cat" (who really just wants Natsume to die so he can have the book), Natsume spends his days dissolving the contracts that bind the spirits and trying not to get killed.